If you rent a home, I am sure you've dealt with a property manager. While some of our experiences have been pleasant, my husband and I have definitely had our share of property manager problems. At one location, I fought with our property manager at least once a month for three years. At another, the landlord passed away in the middle of our rental agreement, leaving the property management office scrambling. On the other hand, we own a home that we manage ourselves, so we are fortunate to understand property management from both sides. The following is a list of issues and scenarios to consider if you are thinking about managing your property. It includes responsibilities, things to consider before outsourcing the job, and how you can successfully manage the property while also managing military life. A property manager’s responsibilities can involve collecting rent, handling move-in and move-out inspections, scheduling showings, and dealing with everything from regular maintenance to major repairs. To inform your final decision, it is imperative to think through how you plan to handle not only these situations, but also the various personalities of each renter you encounter. While it might seem convenient to execute property management on your own, think about what would happen if a hurricane rolls through your Florida rental while you are stationed in sunny San Diego. What if your tenants are incapable of hurricane-proofing the windows and the storm causes significant damage? Just be honest with yourself and have a realistic view of what you're able to accomplish based on your location, availability, and financial situation. Whether you want to use a company or an individual as your property manager, one of the most important issues to lock down in your agreement is exactly how much decision-making power your property manager holds. As the liaison between you and your tenants, the property manager’s responsibilities must be clearly outlined in writing to avoid potentially costly disputes. The property manager needs some level of autonomy to operate on your behalf, as you do not want to be bothered with every little issue. However, you absolutely do not want them to approve, say, an expensive home alteration you do not deem necessary. Additionally, a consistent communication route should be established, especially if you are stationed overseas. It is beyond frustrating as a renter when you have no hot water for days because the property manager cannot get approval for repairs from your OCONUS landlord. One more important item to consider: payment. This is more important if you name an individual as your property manager versus a company with standards in place, but there should be an accurate understanding of exactly how to compensate your property manager or management team. Will you have them on retainer or a per-project basis? Will you pay them extra in case of an emergency? Make sure to have the financial arrangements clearly stated in writing. Now, let's explore the do-it-yourself option as, if you are stationed near the property, managing it can be quite simple. However, if your location is at the mercy of the military, may I suggest naming several people to assist you – as they say, it truly takes a village. This is our dream team: a Realtor (a Navy veteran!) to deal with contracts and finding tenants. To handle the move-in/move-out inspections when we are stationed out of state, we named a trusted family member as official property manager. We have a local locksmith who can take care of changing locks and an expert cleaning service on file with a team who not only renders the home spotless, but also steam cleans the carpets. Finally, we have a home warranty service that offers 24/7 coverage for small issues, such as washing machine hiccups, to huge problems, such as fixing a burst pipe in the middle of a snowstorm. Something else we learned along the way is that it's important to have fluid contact with the homeowners' association so you never miss updates, including those not-so-great ones, such as if your tenant is not mowing the grass. Make sure they have your updated email address and, if they still send snail mail, an updated mailing address. One suggestion is to secure a stationary friend or family member who would be willing to let you keep their address on file with the HOA; then, if a situation arises, they will kindly forward the mail to your current location. If you still cannot decide which path is best, here is the defining question: How much responsibility are you willing to take? When you manage a property, if anything breaks or disaster strikes, it is all on you to coordinate assessments and repairs both for the tenants and the maintenance crews. This is both time consuming and emotionally draining. If, though, you think you have the time and energy to handle such various and unpredictable circumstances, you are in good shape. Otherwise, it is worth it to hire someone else to cope with the inevitable headaches that accompany property management. No matter what direction you choose – hiring help, going all in by yourself, or a combination of both – property management does not have to take over your life. Use your contacts, use your own experiences as a renter, and you will have a successful property management experience. 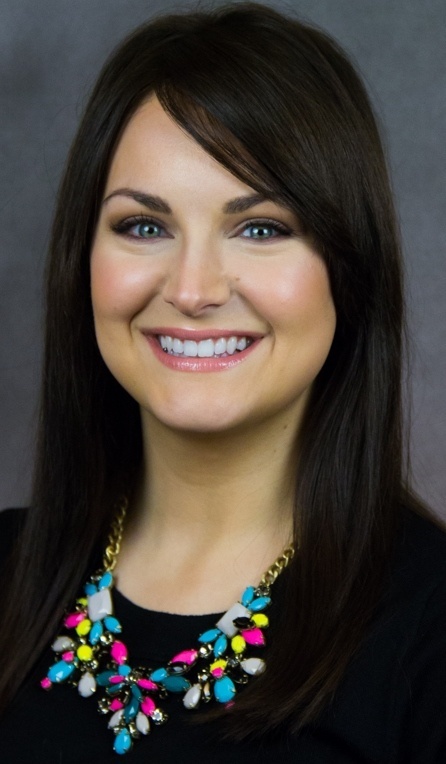 About the author: Jessica Yost is a Public Relations Consultant who has assisted numerous organizations and nonprofits with strategic planning, social media messaging, and marketing among other tasks. As a certified makeup artist, Jessica also runs a small business, Electra Lane, offering makeup lessons, image branding, and grooming services for professionals. She is involved with several charities, including the Travis Manion Foundation, and serves on the board for the Washington, DC Chapter of the Naval Officers’ Spouses’ Club. Jessica has earned a Bachelor of Science degree in psychology from Towson University and a Master’s in strategic public relations from The George Washington University.